Spectrum Telescope’s Thin Film Solar Filters for Binoculars are full aperture filters made from the same black polymer film as the telescope filters. 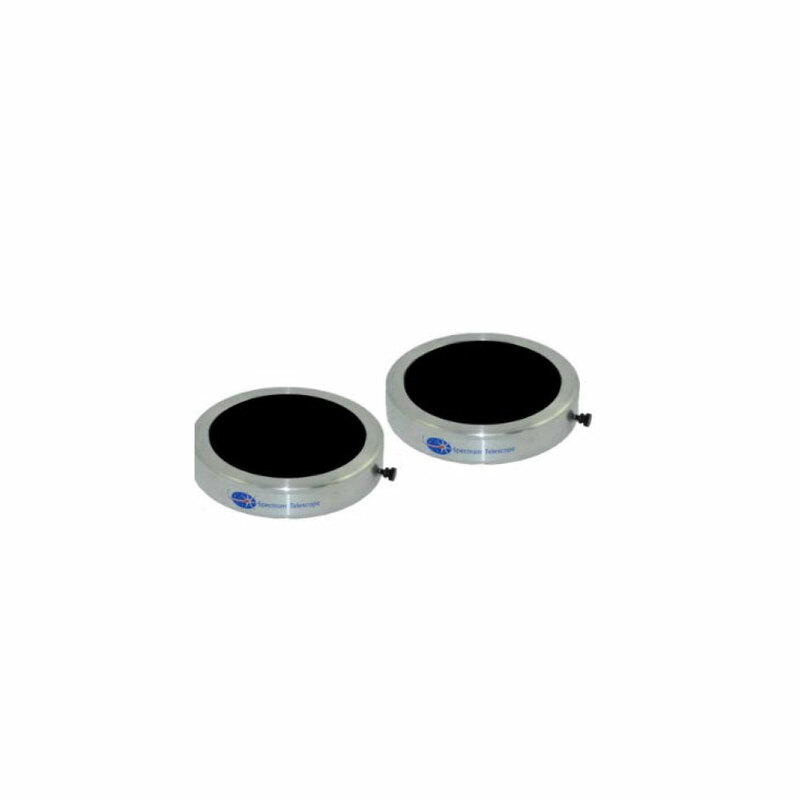 The filters are sold as a pair, are mounted in an aluminum cell, and securely attach to the binocular tubes by a nylon thumb screw. Filters are packaged in a foam lined box perfect for storing the filters when not in use. When properly used and stored the filters will last for many years. Highlighted items on the list below are in stock and can be ordered through its product page. Click on the part # on the list to order these products. All other items are non-stock, click on the Choose an Option list below and select the product number to add it to your cart. Please allow 2-3 weeks for shipment of non-stock items.